Call Today, Shred Tomorrow – 5 Days a Week! Whether you need a one-time appointment to shred private documents or you want ongoing document destruction, we’re here to serve you. We’re proud to offer on-site services to the businesses and residents of Harwich MA Monday to Friday. Give us a call today! We make getting a quote and setting up your appointment simple. Just give us a call and we can help you choose the best shredding option. We’ll answer all of your questions and give you a quote after you decide. On the same call, we will set up an appointment on a day that works for your schedule. We’re available Monday – Friday. If you’re not comfortable with the idea of someone hauling your confidential papers away before they are destroyed you-re not alone. That’s why we come to your Harwich MA location. Whether you’re a resident or a business, we bring one of our paper destruction trucks to you. We place your files in one of our locking bins, and we bring it right to our truck that can destroy 6,000 pounds of documents per hour. You can watch the whole process on a screen located on the side of our vehicle. You’ll have full confidence in the security and destruction of your documents. One-Time Shredding – Don’t need to destroy business records that often? Not a problem. We can set up a one-time appointment any time you decide you want to eliminate company files. We’ll come to your office or any location your store records and take care of your shredding. Then, call us when you are ready to shred again. Our purge service is easy to use and ready when you are. Scheduled Shredding – Half of all documents contain information that is legally protected by privacy laws, meaning they must be shredded for security reasons. Don’t take a chance – shred all paper that might have any private information on it. We make it easy by providing our locked bins and consoles for free that will be placed around your office then anytime you need to dispose of documents your just deposit them in one of the locked containers. We’ll schedule your ongoing shreddingweekly, biweekly, or monthly – whatever works best for you. You probably know that identity theft is a significant problem. What you might not know is that most identity theft happens from documents you put in the garbage. You can’t afford to throw away papers with your private information on them. Instead, make an appointment for residential shredding with A1 DATASHRED. We’ll come to your home at a time that’s convenient for you, Monday to Friday. You can watch your papers being destroyed on-site! Throwing out a computer can be nerve-wracking. After all, there’s a lot of sensitive and private data on that hard drive. Unfortunately, erasing the hard drive is not enough. There are many ways for thieves to restore the data and steal your information and identity. The only truly secure thing to do is physically destroy the drive, which we can do quickly and easily. We’ll come to your location and take care of everything you need so you can rest easy. When our truck comes to your home or business, you won’t have any questions about who has come to serve you. Our trucks are clearly marked and all employees wear uniforms and have photo IDs. In addition, our staff are drug-tested and have their background thoroughly checked before we hire them and then annually. Our top-of-the-line training ensures that your documents are treated with care for your privacy as they are destroyed. You can’t trust just anyone with your personal information. Make sure you choose a company that is certified to the highest standards.  We are proud to be an AAA Certified document destruction company with The National Association of Information Destruction (NAID.) We abide by and exceed the highest security protocols in the industry. You can trust A1 DATASHRED! You might think document shredding is wasteful and hurts the environment. With some companies that might be true, but not with us. We recycle all of the paper we shred, which helps save trees and improve the environment. The recycled paper is used to make paper towels and other paper products. When you work with us, you’ll help the environment and have zero impact in landfills. Are you ready to have your private documents securely shredded? Contact us for a convenient on-site appointment today.